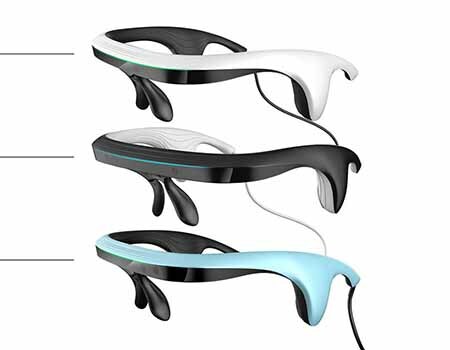 Kr-Vision seeks to make the blind “see” the world with ears. Kr-Vision (视氪), a startup that helps the blind to navigate more safely in the city, has just closed a Pre-A round worth tens of millions of RMB last month. The funding will be used towards R&D and talents recruiting. Founded in 2015, the startup sees China as a growing market for products for the blind. There are 75.51 million people who are visually impaired in China, of which 14 million are blind. It aspires to provide a tool that helps these people go out like the normal and get around safely. Its flagship product, a pair of glasses, is able to detect obstacles, passages, steps and slopes and translate all that information into sounds, and one specific sound represents a different surrounding situation. Then the glasses will play the specific sound to its wearer, alerting them to what’s ahead and to be careful. After 5 years of R&D and tests on 1000 blind people, Kr-Vision has officially launched the glasses to seed customers in October 2017. The startup also plans to add features that can tell traffic light and crosswalk, as well as integrate facial recognition through future software upgrades. The product was sold at RMB 4,699 (approx. USD 742). Currently, the startup is working on a 2nd generation product which is slated to launch this year. The new model will be able to recognize and detect more objects on the road, including transparent objects such as glass door. It will also broaden the vision of glasses to detect objects right under the blinds’ foot. Kr-Vision claimed it has inked a purchase order worth RMB20 million (approx. USD3.2 million) with a Zhejiang-based company. The startup is also expanding its reach to overseas market through a partnership with a foreign company. Kr-Vision isn’t the only startup in the field. In China, NextVPU（肇观电子）has a similar product dubbed AngelEye. And companies in the US, Israel and the UK have been working on products that reconstruct the image of surroundings in user’s brain using an electrode on user’s tongue. Though the experience is less desirable for its users. Kr-Vision currently has a team of 20, who have previously worked for Microsoft, Google, National Instruments and Foxconn.